J.D. 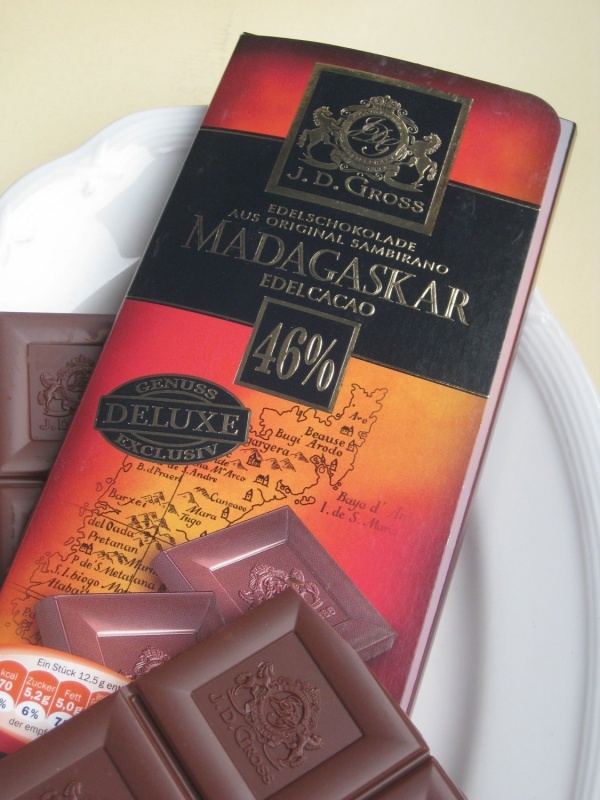 Gross is a chocolate producer in Germany which sells a 125g milk chocolate bar named MADAGASKAR made with cocoa from selected plantations in the Sambirano region of the Ambanja province. Description on the package: As a present of nature, the Sambirano cacao thrives and prospers on exclusive plantations under the ideal conditions of the humid trade wind climate in Madagascar. 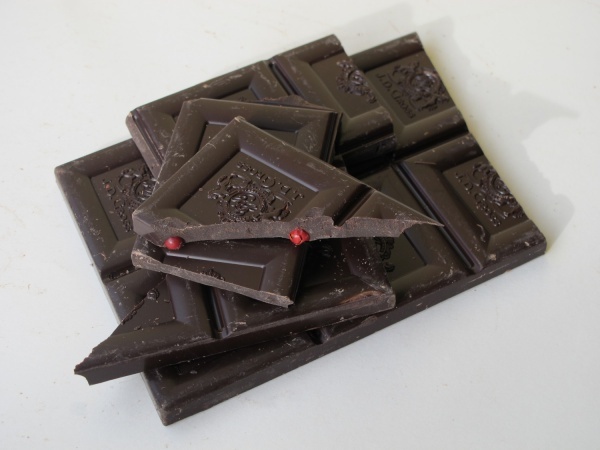 Solely this cocoa in combination with the best ingredients adds tempting taste to the J.D. Gross Edel-Vollmilch-Sahne-Schokolade. Ingredients: Sugar, cocoa mass, cocoa butter, 10% cream powder, 7% whole milk powder, emulsifier: Soy lecithin, vanilla. Minimum 46% cocoa. 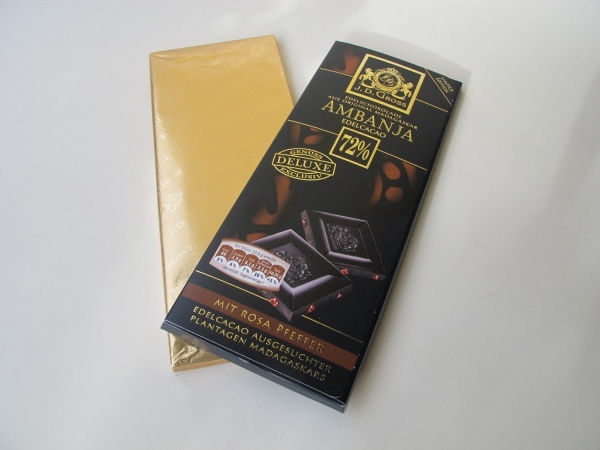 AMBANJA is a limited edition 72% Madagascar cocoa bar with large pink peppers, available as of December 2011. J.D. Gross products are sold in the German supermarket chain LIDL. This page was last modified on 10 December 2011, at 07:17.